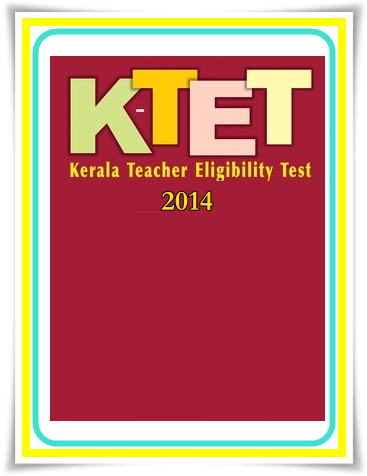 The Kerala state government has taken all steps to conduct the Kerala TET exam 2014 initiated to appointment appropriately trained teachers with academic qualifications for various posts in schools under the government sector. Conducted regularly, the K - TET exam is the prime selection methodology to select talented and brilliant teachers. Giving due respect to the Right of Children to Free and Compulsory Education (RTE) Act 2009, the K – TET is being conducted as separate test to select teachers for Category I (Lower Primary classes), Category II (Upper Primary classes) Category III (High School classes) and Category IV (for Language Teachers - Arabic, Hindi, Sanskrit, Urdu (up to UP classes), Specialist Teachers (Art & Craft) and Physical Education teachers. To cater the need of the present generation students' community, teachers should possess the essential aptitude and ability to meet the challenges of teaching at various levels of schooling. Like the previous years, Pareeksha Bhavan is entrusted to conduct the exam in 2014. According to the notification, the exam is slated to be held on 27th September and 11th October 2014. It is very important to go through the modified notifications and guidelines to know about the procedure of applying for the post. Details regarding the exam are made available at the website of Pareeksha Bhavan (www.keralapareekshabhavan.in) and SCERT (www.scert.kerala.gov.in). Candidates who had been waiting for applying for the exam are advised to go through the detailed information. As the applications can be submitted only through online, it is important to have depth knowledge about the submission process. As the qualifications for applying for each category are given in detail in the Prospectus, applicants should have a thorough reading before moving further. More than a B.Ed or related eligibility, one has to pass the K- TET to get appointed in government schools. The syllabus and other details are well described in the prospectus. The exam fee for general category is Rs 500 while for SC/ST category it is limited to Rs 250. The fee can be remitted in cash to any of the selected branch of State Bank of Travancore. Applicants have to fill up the form online with mandatory and legitimate information. The centre of exam will be allotted by Pareeksha Bhavan in the admit card to be provided later. Applicants who possess the adequate qualification should keep an eye on the Kerala Pareeksha Bhavan and SCERT to know updated information about the exam.